Webstrian gives you a complete freedom regarding the content of your website, its structure and the position of each element. 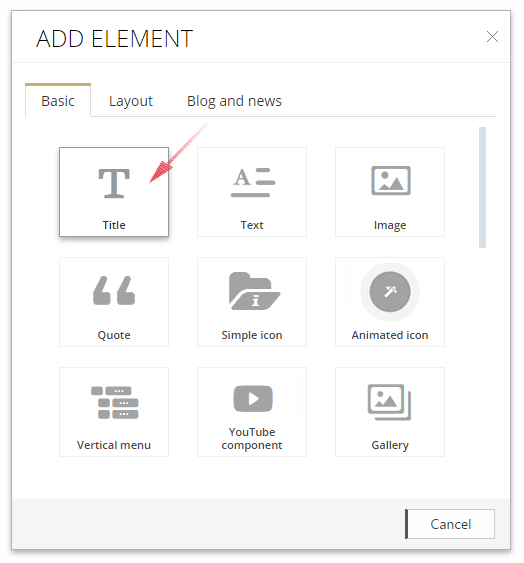 The main method to add content to your website, such as text, images, videos, icons, languages, contact forms etc, is through the link "Add element". You will notice this link on every page when you are in the admin panel. Click on the link "Add element". In the window that will open, select the item you want to add to your web page. 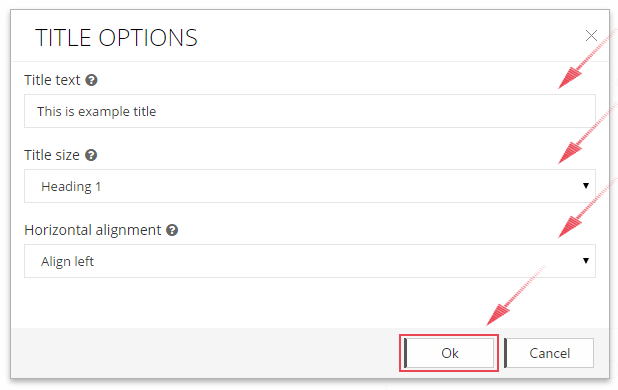 Fill in the empty fields that will appear in the new window and click "OK". After this, the selected item will appear just below the link "Add element" you clicked. 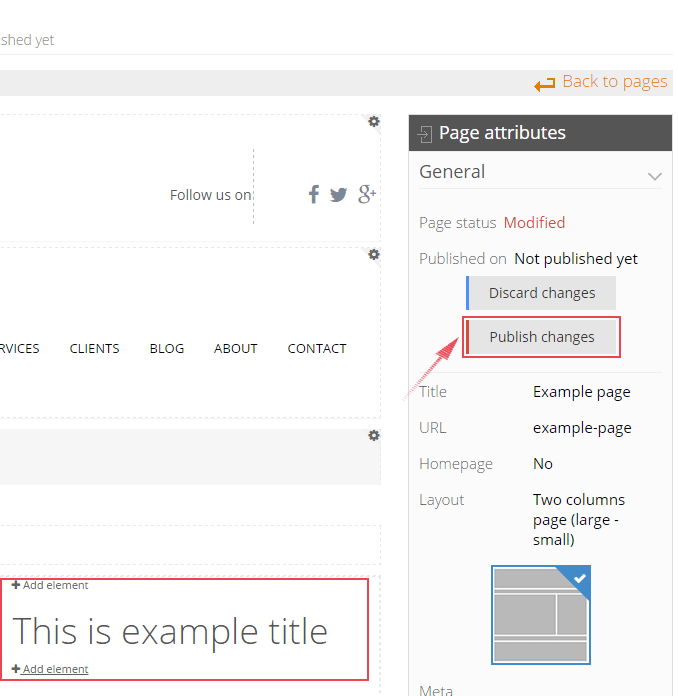 Save changes by clicking on the "Publish" button located on the top (horizontal) part of your admin panel. You can find this button in the right administrative menu as well.